Manchester’s newest pop up, bringing authentic Peruvian culture to the city. 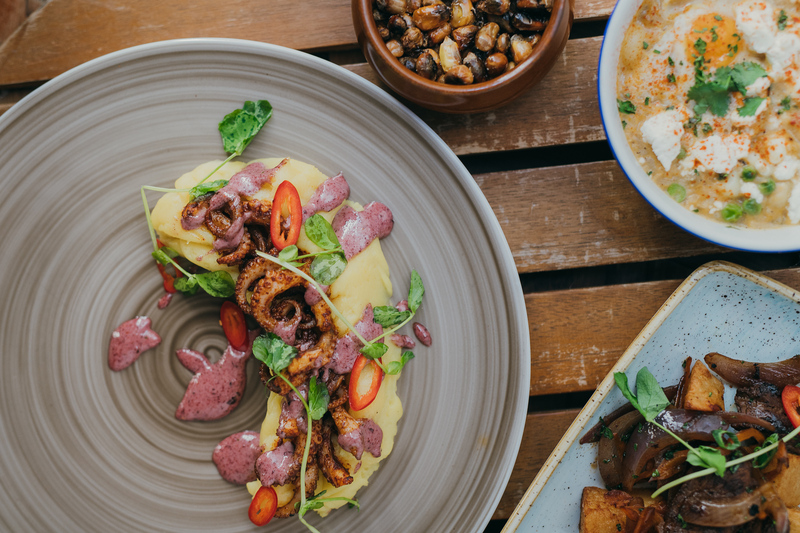 Sandinista Manchester will be the temporary home of Mama Pacha the newest Peruvian pop up which will be bringing a brand-new cocktail menu and food menu to your doorstep. So what & who is Mama Pacha? A local name for Mother nature and a fertility goddess who presides over planting and harvesting. She has the creative power to discover sustain life on earth. The choice of the name is also indicative of the food. Home is where the heart is for many Peruvians and what we aspire to do is describe the family kitchen element through our food. Jose our head chef is no different to many Peruvian chefs in being directly influenced by Mama’s cooking. Is to express the plentiful pantry it is drawn from, Peru has avast natural larder mostly grown organically on a small scale. From the rich seas of the Pacific to the super fertile Amazon basin and the Andes. With these two elements of food and family this is what we are going to bring directly to you. We spoke to our head chef about how he feels the food community in Peru was created and why it has become such a staple in 21st century cuisine. Jose Wong, our head chef is proud to be part of the multicultural Peru we know today. Born in Peru his heritage comes from Italy & China, he expresses his origins through his food. The way Jose describes Peru as a community is beautiful in the sense that inspiration for their cuisine has come from every part of the world.He talks about how neighbouring communities of Peru don’t agree on much… but the one thing they agree on is their food and how proud they are that the cuisine has become their staple in all Peruvians heritage, wherever they originate or come from food brings everyone together. Due to the rich history of immigration in Peru, starting back in the 1820’s. When the Spanish concord Peru and imported slaves from Africa. Building their own communities in Peru they brought their rich history of cuisine with them and inspired their own regional Peruvian dishes. Peru was born in 1821, when the Spanish was expulsed from the country and became an independent country . Spain was ruling these territories way before, since they discovered in 1532 (32 years after they discovered the American continent) and defeated the ruling Inka (the emperor of the Tahuantinsuyu empire), re-naming this territory as Viceroyalty of Peru. The presence of Spain in Peru dates back to 1532 when the Spanish Conqueror Francisco Pizarro was authorized by his Royal Highness Isabel II from Spain to explore and obtain for the Spanish crown the territories to the south of Panama. Mama Pacha's food and drink menu will be going live in Sandinista Manchester on the 9th of October..